I illustrated in yesterday's post than ants tend scale insects for their honeydew. 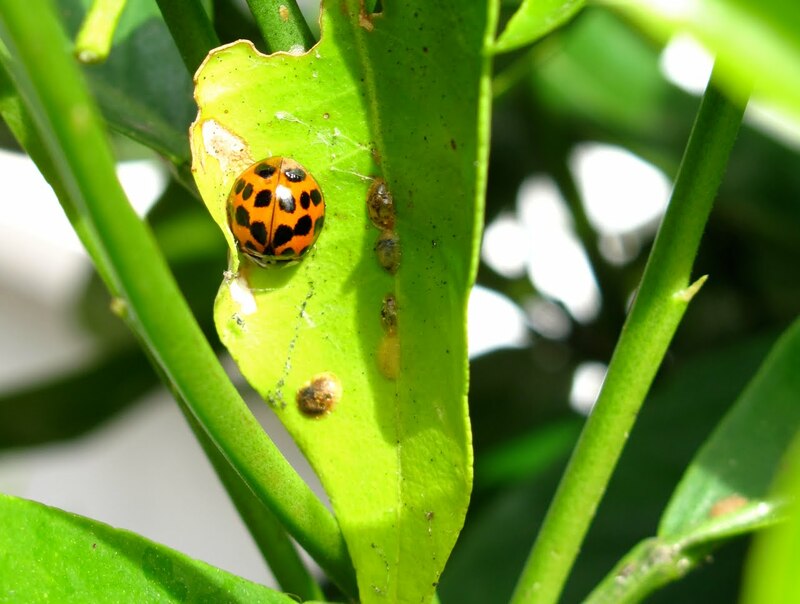 My orange trees have many scale insects and numerous ants tirelessly tending them. 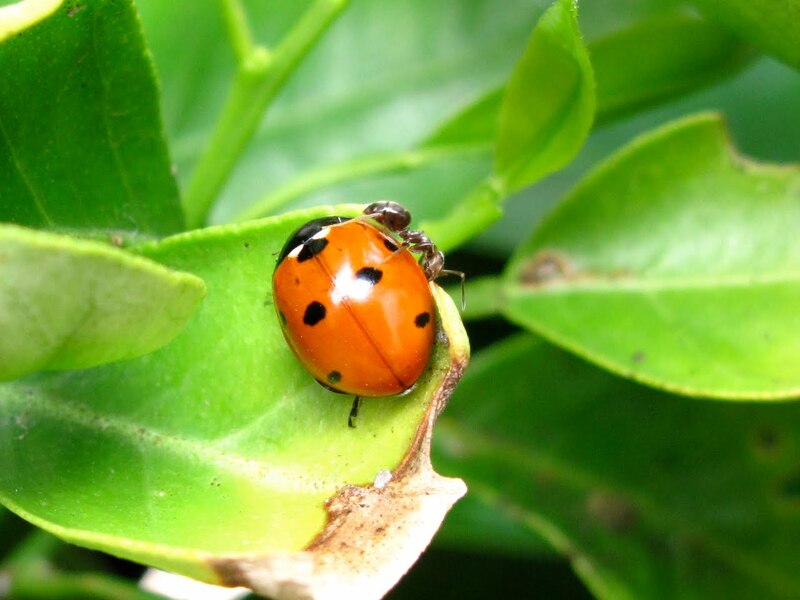 Ladybirds like scale insects too, but for entirely different reasons. Yesterday, I took some photos of a 7-spot ladybird munching on scale insects. Ants, of course, do not like this, and today I managed to witness an ant (or ants) attacking a 7 spot ladybird. The ant was very persistent. 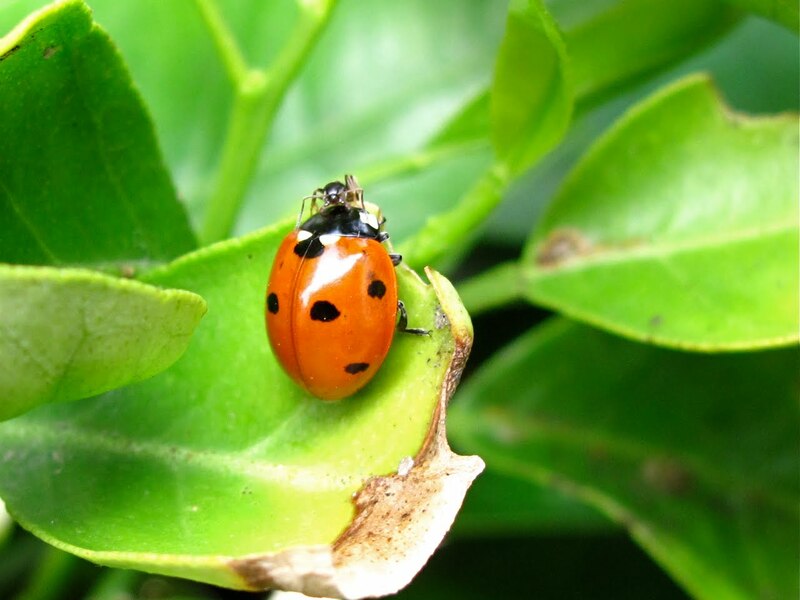 It was quite windy, and in several occasions, the ant was blown away only to return to the ladybird a little later. 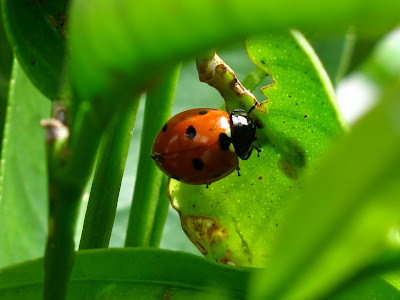 To my eyes, the ladybird defence was passive, she tucked her legs under her body and didn't move much, relying on its shiny and slippery elythra for protection. 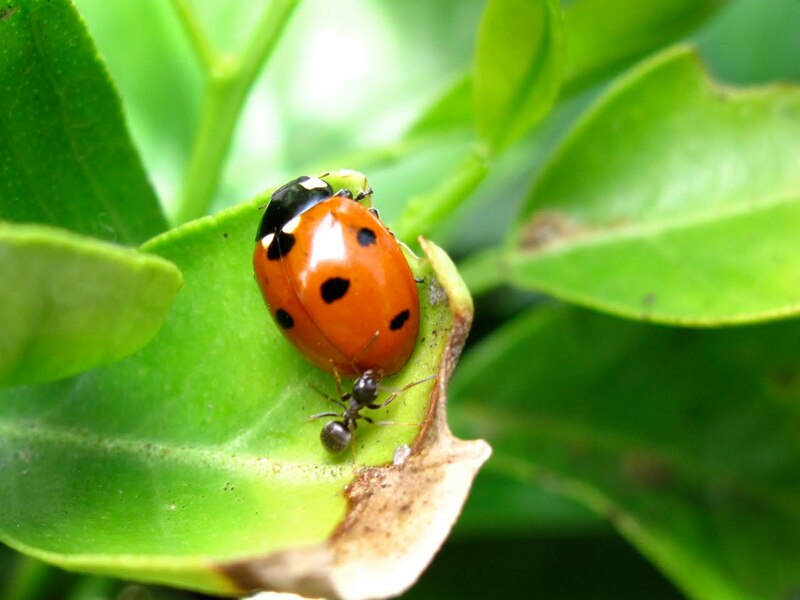 The ant had her jaws wide open and her abdomen often curved underneath its body, as if it was spraying the ladybird with formic acid. 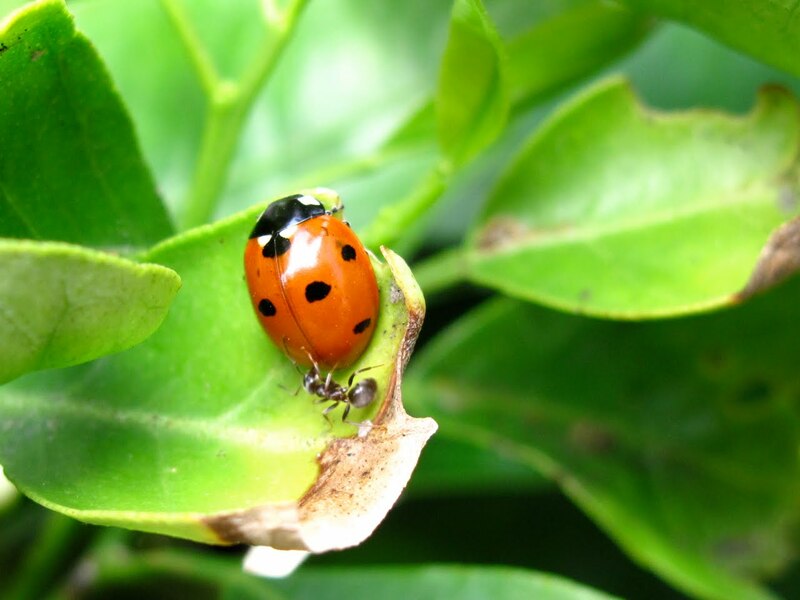 She went for the gap between the thorax and abdomen in several occasions, trying to get a place to bite. After the struggle, the ladybird remained in the tree. 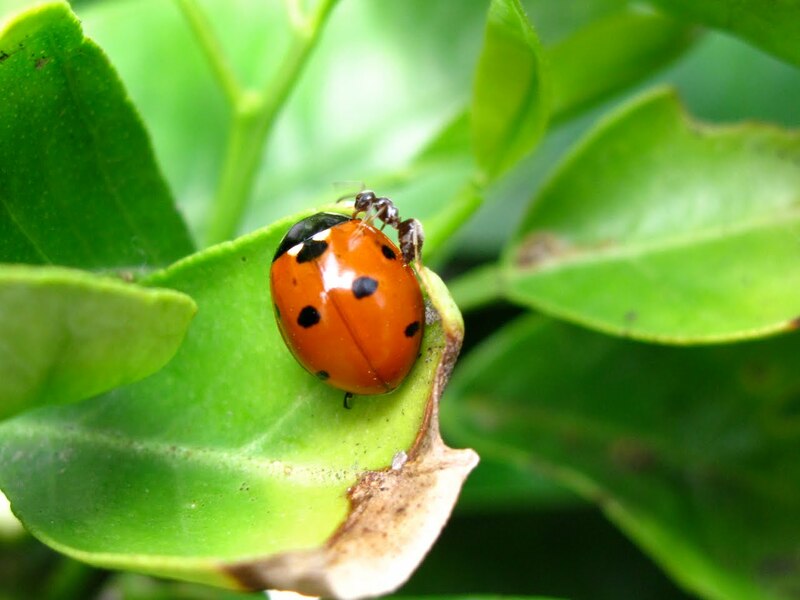 There was a Harlequin ladybird on the same tree near some scale insects and I will keep a watchful eye for ant attacks on her too. It was quite challenging to get shots with the wind and the ladybird being in between the foliage, but a series follows.